The modern automobile industry was built on a foundation of sedans. 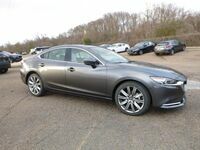 Things are different now, but Mazda still maintains its long-time focus of building some of the best four-door cars in the world. 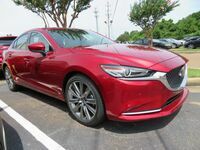 A comparison of the 2018 Mazda6 vs. 2019 Ford Fusion shows just how strong a position Mazda has in this industry segment. 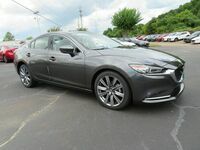 The model currently available at the Gwatney Mazda of Germantown showroom has picked up several broad updates including a more powerful engine, refreshed styling as well as a pair of new trim grades. 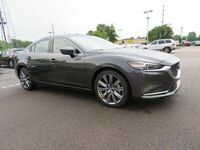 Additionally, the 2018 Mazda6 has also been upgraded in terms of connectivity and has more than enough available technology to match anything the 2019 Ford Fusion. 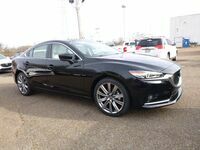 Customers can schedule a test drive or technology demonstration of everything the 2018 Mazda6 has to offer by calling, 833-241-6312. 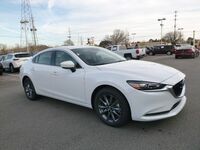 Mazda has joined the growing list of automakers to make their proprietary infotainment systems compatible with today’s most popular smartphones and their associated applications. 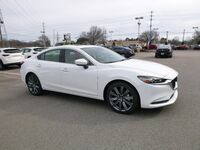 Versions of the 2018 Mazda6 with the MAZDA CONNECT® infotainment system will be equipped with Apple CarPlay™ and Android Auto™. 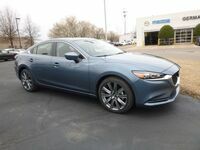 Some models of the current Mazda6 may not have had these systems installed when they left the factory, but the automaker is offering a free upgrade to owners would who like to choose to take home Sport trims and above of the flagship sedan. 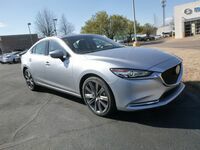 The 2019 Ford Fusion lost points with independent reviewers for having a, ‘standard tech interface more frustrating to use than some rivals’ systems.’ Furthermore, the 2018 Mazda6 was also praised for having an engaging handling profile; whereas the 2019 Fusion fails to meet similar expectations. 2.5-L, 4-Cyl. Engine 2.5-L, 4-Cyl. 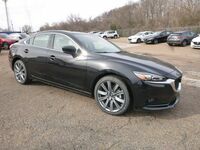 The entire trim ladder of the 2018 Mazda6 is built to be one of the segment’s top-performing models. Under the hood of most trims will be the naturally aspirated iteration of the SKYACTIV®-G 2.5-liter, four-cylinder engine attached to a six-speed manual transmission. It will produce 187 horsepower and 186 pound-feet of torque and be able to record up to 24 miles per gallon in the city and 33 miles per gallon on the highway. Customers opting for the automatic transmission will see a two-mile per gallon bump in both figures. Buyers choosing the 2019 Fusion use a similar engine, but it only makes 173 horsepower and 174 pound-feet of torque, with a fuel economy rating of 21 mpg in the city and 31 mpg on the highway.